It rains and it rains and it rains. Corn straw lies in sodden rows across the browning fields. Ditches are filled to the brim and dejected bank holiday campers limp home to London. Spare another thought for our farmers: the maize in North Barrow is so poor that cows have been turned out onto it in defeat, something I have never seen before. But we are far from dejection. Autumn hunting has started and it is all encompassing. The 4.00am rise plays havoc with my body clock, but these dawn starts do have their advantages. Each morning we’ve been out this week has broken brightly, igniting the damp vale country with light shows of bustling clouds and sunshine. At Inwood – the jewel in the crown of the Blackmore Vale hunt country – the ancient coverts steam. It is the third time this week that our youngster, Wilf, has hunted and he is making a fine debut in this sodden countryside. A proper Irish horse, he takes hunting in his stride, ambling back into the trailer yesterday like a hunter of 20 seasons. Blackthorn and Brook have something else to be chuffed about. 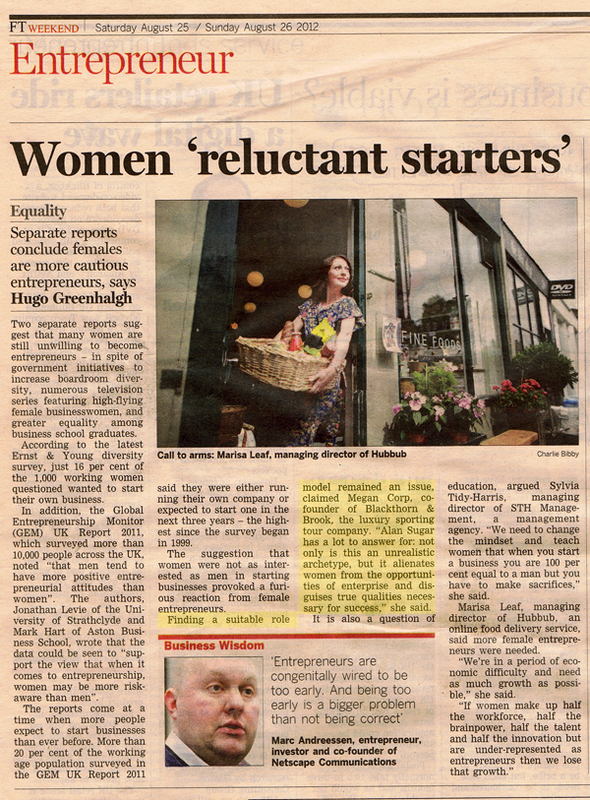 Megan’s thoughts on women entrepreneur’s were included in a piece in the Financial Times. Not bad eh! ?